The New Zealand national men's rugby union team, officially nicknamed the All Blacks, represents New Zealand in men's rugby union, which is regarded as the country's national sport. The All Blacks are the holders of the Rugby World Cup, since 2011, and are the 2014 World Rugby Team of the Year. They have won over 76% of their test matches and are the leading test match points scorers of all time. Their win ratio puts them amongst the most successful teams of any sport in history. They are the only international side with a winning record against every country they have played, and since their international debut in 1903 only five nations have defeated New Zealand in test matches. Since the introduction of the World Rugby Rankings in October 2003, New Zealand has held number one ranking longer than all other teams combined. The All Blacks are also the first team to have set hands on the Webb Ellis Cup, the first team to successfully defend the Rugby World Cup and the first team to win the cup on 3 separate occasions. New Zealand competes with Argentina, Australia and South Africa in The Rugby Championship – known as the Tri Nations before Argentina's entry in 2012. The All Blacks have won the trophy thirteen times in the competition's nineteen-year history. They also hold the Bledisloe Cup, which is contested annually with Australia, and the Freedom Cup, contested annually with South Africa. New Zealand have achieved a Grand Slam (defeating England, Ireland, Scotland, and Wales in one tour) four times – 1978, 2005, 2008 and 2010. They have also been named the World Rugby Team of the Year seven times since 2005. Four members have won the World Rugby Player of the Year award – current captain Richie McCaw, Dan Carter, Kieran Read, and Brodie Retallick. Fifteen former All Blacks have been inducted into the International Rugby Hall of Fame; four of these are also inductees of the World Rugby Hall of Fame. 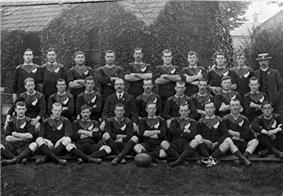 The team's first match was in 1884, and their first international match in 1903 against Australia in Sydney. The following year they hosted their first ever home Test, a match against a British Isles side in Wellington. This was followed by a tour of Europe and North America in 1905 where the team suffered their first test defeat – to Wales in Cardiff. 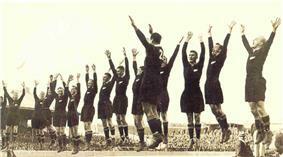 New Zealand's early uniforms consisted of a black jersey with a silver fern and white knickerbockers. By the 1905 tour, they were wearing all black, except for the silver fern, and their name All Blacks dates from this time. The team perform a haka – a Māori challenge or posture dance – before each match. The haka performed has traditionally been Te Rauparaha's Ka Mate, although since 2005 Kapa o Pango – a modified version of the 1924 All Blacks haka, Kia Whaka-ngawari – has occasionally been performed. Rugby union – almost universally referred to as rugby in New Zealand – was introduced to New Zealand by Charles Monro in 1870; Monro discovered the sport while completing his studies at Christ's College, Finchley, England. The first recorded game in New Zealand took place in May 1870 in Nelson between the Nelson club and Nelson College. 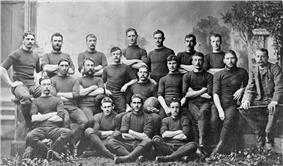 The first provincial union, the Canterbury Rugby Football Union, was formed in 1879, and in 1882 New Zealand's first internationals were played when New South Wales (NSW) toured the country. NSW did not face a New Zealand representative team but played seven provincial sides – the tourists won four games and lost three. Two years later the first New Zealand team to travel overseas toured New South Wales; where New Zealand won all eight of their games. In 1892, following the canvassing of provincial administrators by Ernest Hoben, the New Zealand Rugby Football Union (NZRFU) was formed by the majority of New Zealand's provincial unions, but did not include Canterbury, Otago or Southland. The first officially sanctioned New Zealand side toured New South Wales in 1893, where the Thomas Ellison captained team won nine of their ten matches. The following year New Zealand played its first home "international" game, losing 8–6 to New South Wales. The team's first true test match occurred against Australia on 15 August 1903 at the Sydney Cricket Ground in front of over 30,000 spectators, and resulted in a 22–3 victory. A representative New Zealand team first toured the British Isles in 1905. The side is now known as the Originals, as the All Blacks name emerged during this tour when, according to team member Billy Wallace, a London newspaper reported that the New Zealanders played as if they were "all backs". Wallace claimed that because of a typographical error, subsequent references were to "All Blacks". This account is most likely a myth – because of their black playing strip, the side was probably referred to as the Blacks before they left New Zealand. Even though the name All Blacks most likely existed before the trip, the tour did popularise it. The name had earlier appeared in a New Zealand newspaper in 1904. The Originals played 35 matches on tour, and their only loss was a 3–0 defeat to Wales in Cardiff. The match has entered into the folklore of both countries because of a controversy over whether All Black Bob Deans scored a try which would have earned his team a 3–3 draw. In contrast to the success of the Originals on the field, the team did antagonise some in the Home Nations' rugby establishment; both administrators and the press complained that the All Blacks did not play the game within the amateur and gentlemanly spirit promoted by the International Rugby Football Board. These complaint continued to dog New Zealand teams until the 1930s. The success of the Originals had uncomfortable consequences for the amateur NZRFU. In 1907, a party of professional players was assembled to tour the British Isles and play rugby league – a professional offshoot of rugby union that was played by clubs that split from England's Rugby Football Union (RFU) due to disagreements over financial compensation for players. When the All Golds, as the team came to be known, returned they established rugby league in New Zealand, and a large number of players switched to the professional code. English and Welsh authorities were alarmed by the threat of professionalism to rugby in New Zealand, and in 1908 an Anglo-Welsh side undertook a tour to New Zealand to help promote the amateur values under which they believed sport should be played. The tourists were defeated 2–0 in the three-test series by New Zealand, but the Anglo-Welsh did manage to draw the second test 3–3. Fagan, Sean (2013). The First Lions of Rugby. Richmond, Australia: Slattery Media Group. Harding, Grant; Williams, David (2000). The Toughest of Them All: New Zealand and South Africa: The Struggle for Rugby Supremacy. Howell, Max (2005). Born to Lead: Wallaby test Captains. North Harbour, New Zealand: Celebrity Books. Howitt, Bob (2005). SANZAR Saga: Ten Years of Super 12 and Tri-Nations Rugby. Harper Collins Publishers. Mulholland, Malcolm (2009). Beneath the Māori Moon: An Illustrated History of Māori Rugby. Huia Publishers. Palenski, Ron (2003). Century in Black: 100 Years of All Black test Rugby. Hodder Moa Beckett Publishers Limited. Ryan, Greg (1993). Forerunners of the All Blacks. Christchurch, New Zealand: Canterbury University Press. Ryan, Greg (2011). "A Tale of Two Dinners: New Zealand Rugby and the Embrace of Empire, 1919–32". The International Journal of the History of Sport (Routledge) 28 (10): 1409–1425. Slatter, Gordan (1974). Great Days at Lancaster Park. Christchurch, New Zealand: Whitcombe and Tombs. Verdon, Paul (2000). Born to Lead – The Untold Story of the All Black test Captains. Auckland, New Zealand: Celebrity Books. Vincent, G. T. (1998). "Practical Imperialism: The Anglo-Welsh Rugby Tour of New Zealand, 1908". The International Journal of the History of Sport (Routledge) 15 (1): 123–140. ^ a b "Dan Carter". All Blacks. Retrieved 31 October 2015. ^ "Sport, Fitness and Leisure". New Zealand Official Yearbook. Statistics New Zealand. 2000. Retrieved 21 July 2008. Traditionally New Zealanders have excelled in rugby union, which is regarded as the national sport, and track and field athletics. ^ a b c "World Rugby Awards Past Winners". World Rugby. Retrieved 4 December 2014. ^ McCarthy (1968), pg. 11. ^ Ryan (1993), pg. 16. ^ Gifford (2004), pg 27. ^ McCarthy (1968), pg. 12. ^ Slatter (1974), pg. 33. ^ Fagan (2013), pg. 52–53. ^ a b Gifford (2004), pg 32. ^ Mulholland (2009), pg. 11. ^ a b McCarthy (1968), pg. 23. ^ McCarthy (1968), pg. 24. ^ Elliott (2012), pg. 109. ^ a b "All Blacks – The Name?". ^ 'The English Footballers'. New Zealand Herald, 28 June 1904, Page 3. ^ Elliott (2012), pg. 192. ^ McLean (1959), pg. 23–25. ^ Ryan (2011), pg. 1409–1422. ^ a b McCarthy (1968), pg. 51–53. ^ Elliott (2012), pg. 222–224. ^ Vincent (1998), pg 124. ^ a b McCarthy (1968), pg. 56. ^ Ryan (2011), pg. 1411. ^ Vincent (1998), pg 123. ^ McCarthy (1968), pg. 61. ^ McCarthy (1968), pg. 66. ^ McCarthy (1968), pg. 67–68. ^ Harding (2000), pg. 234–235. ^ McLean (1987), pg 42. ^ Palenski (2003), pg 74. ^ McCarthy (1968), pg. 132–134. ^ McCarthy (1968), pg. 140. ^ Palenski (2003), pg 192. ^ Harding (2000), pg. 39. ^ Harding (2000), pg. 43. ^ Harding (2000), pg. 48. ^ McCarthy (1968), pg. 207. ^ "354th All Black Game". New Zealand Rugby Museum. Retrieved 16 February 2013. ^ "353rd All Black Game". New Zealand Rugby Museum. Retrieved 16 February 2013. ^ a b c McCarthy (1968), pg. 217–218. ^ a b Howell (2005), pg. 128. ^ Mulholland (2009), pg. 164–165. ^ Verdon (2000), pg. 109. ^ Harding (2000), pg. 52–53. ^ Harding (2000), pg. 56. ^ Verdon (2000), pg. 119. ^ McCarthy (1968), pg. 267–272. ^ Palenski (2003), pg 269. ^ Irish, Oliver (7 April 2002). "The 10 greatest shocks in sport's history". The Guardian (UK). Archived from the original on 30 July 2012. Retrieved 12 November 2006. ^ Souster, Mark (19 December 2001). "Alone It Stands". The Times (UK). ^ Harding (2000), pg 111. ^ Luxford, Bob. "Bernie Fraser". Rugby Museum. Retrieved 15 November 2006. ^ "Rugby Chronology". rfu.com. Retrieved 15 November 2006. ^ "World Cup in New Zealand and Australia". Rugby Museum. Retrieved 15 November 2006. ^ Palenski (2003), pg 227. ^ Palenski (2003), pg 228. ^ a b Palenski (2003), pg 290. ^ Knight, Lindsay. "Jonah Tali Lomu". Rugby Museum. Retrieved 15 November 2006. ^ a b c d Palenski (2003), pg 233. ^ Butler, Eddie (23 October 2011). "Richie McCaw's New Zealand beat France in final". Guardian (London). Retrieved 24 October 2011. ^ Gifford (2004), pg 28. ^ Palenski (2003), pg 17. ^ Park, Alice (12 April 2007). "Member of the Club". Time Magazine (Fort Worth). Retrieved 11 July 2010. ^ Corrigan, James (24 November 2008). "All Blacks turn up heat". The Independent (London). Retrieved 11 July 2010. ^ "New Zealand All Black great: John Kirwan". Personalities. Tourism New Zealand. Retrieved 25 November 2013. 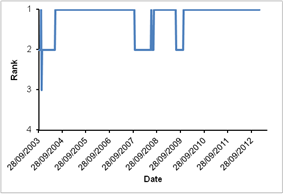 ^ "All Blacks test match Record since first test match". All Blacks. Retrieved 31 January 2013. ^ McConnell, Lynn (7 October 2007). "Deja vu for All Blacks". Sportal. Retrieved 14 June 2008. ^ Gilhooly, Daniel (17 November 2006). "'"Zinzan Brooke defends All Blacks – 'we can win the Cup. NZ Herald. NZPA. Retrieved 14 June 2008. ^ a b "All Time RWC Statistics". Rugby World Cup. ^ "All Blacks squad for RWC 2015 announced". allblacks.com. New Zealand Rugby Union. 30 August 2015. Retrieved 30 August 2015. ^ "All Blacks centurion Tony Woodcock looks to have played his last game in the black jersey after being ruled out of the remainder of the World Cup with a hamstring injury.". allblacks.com. New Zealand Rugby Union. 11 October 2015. Retrieved 11 October 2015. ^ Gallagher, Brendan (17 November 2005). "Joining the legends an added bonus for Wood". The Daily Telegraph (UK). Retrieved 15 December 2006. ^ "Sixth Induction Dinner – 2007". Rugby Hall of Fame. Archived from the original on 29 June 2012. Retrieved 13 September 2007. ^ a b Rugby News Service (21 October 2007). "Habana named IRB Player of the Year". International Rugby Board. Retrieved 21 October 2007. ^ a b c d "RWC legends inducted into IRB Hall of Fame" (Press release). International Rugby Board. 26 October 2011. Retrieved 26 October 2011. ^ a b Knight, Lindsay. "George Nepia". New Zealand: Rugby Museum. Retrieved 17 December 2006. ^ "Don Clarke". Rugby Hall of Fame. Archived from the original on 9 September 2012. Retrieved 15 December 2006. ^ a b Knight, Lindsay. "Wilson James Whineray". New Zealand. Retrieved 17 December 2006. ^ a b c Knight, Lindsay. "Colin Earl Meads". Rugby Museum. Retrieved 16 December 2006. ^ "John Kirwan". Rugby Hall of Fame. Archived from the original on 8 September 2012. Retrieved 15 December 2006. ^ "Michael Jones". Rugby Hall of Fame. Archived from the original on 8 September 2012. Retrieved 15 December 2006. ^ "Sean Fitzpatrick". Rugby Hall of Fame. Archived from the original on 11 September 2012. Retrieved 15 December 2006. ^ "Record breaking Carter surpasses Wilkinson". Sport 360. 28 November 2010. Retrieved 28 November 2010. ^ Sportal. "NZ made to battle for 40–0 win". All Blacks. Retrieved 24 September 2007. ^ "Statsguru / test matches / Player records". ESPN Scrum. Retrieved 31 October 2015. ^ Johnstone, Duncan (23 December 2011). "Ian Foster named All Blacks assistant coach". stuff.co.nz. Retrieved 28 March 2015. ^ "It's Eden Park says disappointed Mallard". NZ Herald. 27 November 2006. Retrieved 27 December 2006. ^ They are Australia, England, France, South Africa and Wales. Eden Park and AMI Stadium were upgraded in preparation for the 2011 Rugby World Cup. In 2006, the Government of New Zealand proposed the construction of a waterfront National Stadium in Auckland as an alternative to Eden Park's upgrade; this proposal was rejected by the Auckland Regional Council. By that time, the NZRU no longer considered Carisbrook a suitable test venue, and a covered sports stadium was proposed as a replacement. Dunedin City Council approved the new stadium in March 2008, land acquisition proceeded from August to October of that year, and the new venue opened in August 2011, in time for the World Cup. Prior to the construction of Westpac Stadium in 1999, Wellington's test venue was Athletic Park. Athletic Park was the venue for the first All Blacks test match in New Zealand against Great Britain in 1904. The first home test match played outside the main centres of Auckland, Christchurch, Dunedin or Wellington was in 1996 at McLean Park in Napier. Both the 1987 and 2011 Rugby World Cup finals were played at Eden Park. Like the other major rugby nations Argentina, Australia, France and South Africa, New Zealand does not have an official stadium for its national team. Instead, the All Blacks play their test matches at a variety of venues throughout New Zealand. The current head coach of the All Blacks is Steve Hansen, who has held the position since 2012. He is assisted by Ian Foster and Aussie McLean. Due to the definition and role of All Blacks coach varying so much prior to the 1949 All Blacks tour of South Africa, the following table only includes coaches appointed since. The All Blacks' record test try scorer is Doug Howlett with 49 tries, who overtook Christian Cullen's 46 during the 2007 World Cup. The world record for tries in a calendar year is held by Joe Rokocoko, with 17 tries in 2003; he also became the first All Black to score ten tries in his first five tests, as well as the first All Black to score at least two tries in each of four consecutive tests. In test matches, the most capped All Black is Richie McCaw with 148 caps. The record for most tests as captain is held by Richie McCaw with 110. The youngest All Black in a test match was Jonah Lomu, capped at age 19 years, 45 days, whilst the oldest test player was Ned Hughes at 40 years, 123 days. Jonah Lomu is generally regarded as the first true global superstar of rugby union. He was the youngest player ever to appear in a test as an All Black, making his debut at age 19 years, 45 days in 1994. Lomu, a wing, had unique physical gifts; even though he stood 1.96 m (6 ft 5 in) and weighed 119 kg (262 lb), making him both the tallest and heaviest back ever to play for New Zealand, he could run 100 metres in under 11 seconds. He burst on the international scene in the 1995 Rugby World Cup, scoring seven tries in the competition. Four of those tries came in New Zealand' semifinal win over England, including an iconic try in which he bulldozed England's Mike Catt on his way to the try line. He would add eight more tries in the 1999 Rugby World Cup. Perhaps most remarkably, Lomu played virtually his entire top-level career in the shadow of a serious kidney disorder which ended his test career in 2002 and ultimately led to a transplant in 2004. Even with his career hampered and eventually shortened by his health issues, he scored 37 tries in 63 tests. Lomu was inducted into the World Rugby Hall in October 2011, and was specifically recognised as one of four new inductees "who had left an indelible mark on Rugby World Cup for their moments of magic, inspiration or feats". The 1987 World Cup champions were coached by Sir Brian Lochore who had represented New Zealand in 25 tests between 1964 and 1971, including 17 as captain. Lochore was knighted in 1999 for his lifetime services to rugby, and was also inducted into the World Rugby Hall of Fame on 24 October 2011 at a ceremony in Auckland alongside all other World Cup-winning coaches through the 2007 tournament. Four of the 1987 World Cup squad that he had coached are also inductees in the International Hall of Fame, and one in the World Rugby Hall. Sir John Kirwan played a total of 63 tests between 1984 and 1994, scoring 35 tries, an All Blacks record at the time. In the 1987 World Cup opener against Italy, Kirwan raced 90 meters to score one of the tries of the tournament. An All Black from 1984 to 1993, Grant Fox was one of New Zealand's greatest point-scorers with 1067 points, including 645 test points. Fox played 46 tests, including the 1987 World Cup final against France. Known as The Iceman, Michael Jones was one of the greatest open side flankers of all time. Born in Auckland, New Zealand, Jones first played international rugby for Samoa, then for New Zealand, playing 55 tests between 1987 and 1998. Due to his Christian faith, Jones never played rugby on Sundays, resulting in him not playing in the 1991 World Cup semi-final against Australia, and also in him not being picked for the 1995 World Cup squad. The team's captain, David Kirk, was inducted into the World Rugby Hall alongside Lochore; all other World Cup-winning captains through 2007 (minus the already-inducted Australian John Eales) were also enshrined at this ceremony. Sir Fred Allen captained all of his 21 matches for New Zealand, including six tests, between 1946 and 1949. He eventually moved onto coaching New Zealand between 1966 and 1968. New Zealand won all 14 of their test matches with Allen as coach. Four former All Blacks have been inducted into the World Rugby Hall of Fame. David Kirk, Lomu and Whineray were inducted primarily as players, whilst Lochore was inducted primarily as a coach. Fifteen former All Blacks have been inducted into the Sir Wilson Whineray. New Zealand's 31-man squad for the 2015 Rugby World Cup. New Zealand's only annual tournament is a competition involving the Southern Hemisphere's top national teams. From 1996 through 2011, they competed in the Tri Nations against Australia and South Africa. In 2012, Argentina joined the competition which was renamed The Rugby Championship. New Zealand's record of eleven tournament wins (the most recent in 2014) and 50 match wins is well ahead of the other teams' records. The Bledisloe Cup is also contested between New Zealand and Australia, and the Freedom Cup between New Zealand and South Africa, as part of the Tri Nations and The Rugby Championship. New Zealand holds several World Cup records: most World Cup Matches (48), most points in one match (145 versus Japan in 1995), most cumulative points over all World Cups (2,248), most tries overall (306), most conversions (222) and also the record for the most points scored in the first half of a knockout game at the Rugby World Cup (29) (against France 2015) along with the largest knockout margin (49) in the same match. Several individual players also hold World Cup records; Jonah Lomu for most World Cup tries (15 over two World Cups)(Currently tied with South Africa's Bryan Habana), Marc Ellis with most tries in a match (6 versus Japan in 1995), Grant Fox with most points in one tournament (126 in 1987), and Simon Culhane with most points in a single game (45 versus Japan in 1995). New Zealand have won the World Cup three times – (the only team to have done so) the 1987 inaugural competition held in New Zealand and Australia, the 2011 tournament also hosted in New Zealand – again defeating France and most recently, defeating Australia in England in 2015 (making them the first and only team to win back to back World Cups). In 1991, they lost their semi-final to Australia before winning the playoff for third. In 1995, they reached the final, before losing in extra time to hosts South Africa. They finished in fourth place in 1999, after losing their semi-final and then the third-place playoff game. In 2003, New Zealand were knocked out by hosts Australia in their semi-final, before finishing third. The 2007 World Cup saw their worst tournament, being knocked out in the quarterfinals by the host nation France; until this they were the only team to have reached the semifinals of every tournament. As a result of the poor performance in the 2007 World Cup the NZRU commissioned a 47-page report to detail the causes of the failure. The All Blacks have never lost a World Cup pool match, and have finished top of their pool in all seven tournaments. Their all-time points record for tests stands at 14,362 points for and 6,984 against (updated 31 October 2015). Many national teams' heaviest defeat occurred against New Zealand – the national teams of France, Ireland, Argentina, Fiji, Samoa, Tonga, Japan, and Portugal have all suffered their greatest defeats at the hands of New Zealand. The All Blacks' largest test win was 145–17 against Japan in 1995, while their heaviest loss was a 28–7 loss to Australia in 1999. New Zealand's longest winning streak is 17 test victories, achieved between 1965 and 1970 and again between 2013 and 2014; the second winning streak included every test played in 2013. Their longest unbeaten streak is 23 tests (from 1987 to 1990) with one game being drawn. New Zealand have only ever been beaten by five test nations, and they are the only international team to have a winning record against every nation they have played. They have won 413 of their 538 test matches – 76.77% (see table), and have lost at home only 37 times. Since World Rankings were introduced by World Rugby in October 2003, New Zealand have occupied the number one ranking the majority of the time. In the decade from 2000 to 2009, New Zealand won 100 tests (82% winning percentage). As of the 2015 Rugby Championship, the All Blacks have won a record 38 consecutive tests at home. The All Blacks had an unbeaten streak of 22 tests from June 2013 to September 2014. Adidas have been the All Black's kit suppliers since 1999, taking over from Canterbury. In 2012, the NZRU took the controversial step of allowing American insurance and financial services company, AIG, to promote themselves on the centre-front of the All Black jersey. In return, the NZRU would receive direct financial sponsorship that was not officially revealed; the deal was estimated to be worth approximately 80 million dollars over five years. Adidas currently pays the NZRFU $200 million over 9 years, expecting New Zealand to win around 75% of their matches. Nike also looked at sponsoring New Zealand in 1996, but went with Tiger Woods instead. During the 2011 Rugby World Cup the All Blacks had an embroidered William Webb Ellis cup on the sleeve of their jerseys with the year '1987' underneath. This was to signify which year the team had successfully won the tournament. Each of the four teams who had previously won the competition had the same detailing on their jerseys. Recently it has become traditional for New Zealand to wear an embroidered remembrance poppy on their jersey sleeve when playing France during the end-of-year tours. The poppy honours the soldiers who died in the battlefields of Europe. 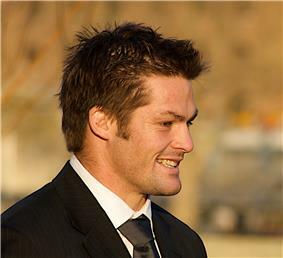 Captain Richie McCaw said "We want to honour the overseas service of New Zealanders. It is an important part of our history as a country and a team." The current New Zealand jersey is entirely black (currently referred to as the 'blackest' jersey ever created) except the Adidas logo, the NZRU silver fern on the front and the AIG logo in the lower center (all of which are darkened from previously). The 1884 New Zealand tour to Australia was the first overseas New Zealand rugby tour, and featured clothing very different from today's jersey. Back then, the team donned a dark blue jersey, with gold fern on the left of the jumper. In 1893 the NZRU stipulated at its annual general meeting that the uniform would be black jersey with a silver fern and white knickerbockers. However historic photographs suggest white shorts may have been used instead during these early years. Sometime between 1897 and 1901 there was a change; by 1901 the team met NSW in a black jersey, a canvas top with no collar, and a silver fern. The team entered the 2015 Rugby World Cup and again went undefeated in their pool matches. They defeated France in the Quarter-Final, South Africa in the Semi-Final and Australia in the Final to become the first nation to retain their World Champion title and the first to win the Rugby World Cup three times. In 2010 the All Blacks won the Tri-Nations series for the tenth time after three successive victories against South Africa, also retaining the Bledisloe Cup after consecutive victories against Australia. During 2010 New Zealand were undefeated for 15 test matches. Despite losing the 2011 Tri-Nations after a loss to Australia in Brisbane, but still entered the 2011 Rugby World Cup as one of the favourites. The All Blacks went through their pool matches undefeated, and after defeating Argentina, and then Australia, faced France in the final. The final was played at Eden Park, and New Zealand scored one try and a penalty to narrowly win 8–7. Henry stepped down as coach following the World Cup, and was replaced as head coach by his assistant Steve Hansen. 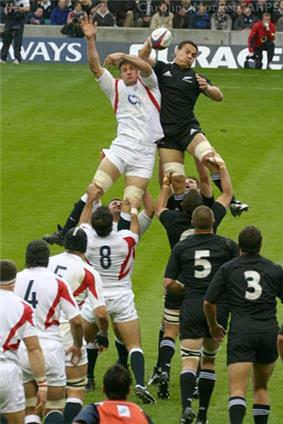 In 2005 New Zealand whitewashed the touring British and Irish Lions during their three-match test series, won the Tri-Nations, and achieved a second Grand Slam over the Home Nations for the first time since 1978. They went on to sweep the major IRB (now World Rugby) awards in which they were named: Team of the Year, Henry was named Coach of the Year, and first five-eighth Dan Carter was Player of the Year. New Zealand were nominated for the Laureus World Sports Award for Team of the Year in 2006 for their 2005 performance. The following year they again took the Tri-Nations Series after winning their first five matches, three against Australia and two against South Africa. They lost their final match of the series against South Africa. They completed their end of year tour unbeaten, with record away wins over France, England and Wales. New Zealand were named 2006 IRB Team of the Year and were nominated for the Laureus World Sports Award for the second time, while flanker Richie McCaw was named IRB Player of the Year for the first time. Under Smith and Gilbert, New Zealand came second in the 2000 and 2001 Tri-Nations, and in neither season did the side reclaim the Bledisloe Cup – which had been lost in 1998. Both coaches were replaced by John Mitchell on 3 October 2001, and he went on to coach New Zealand to victory in both the 2002 and 2003 Tri-Nations, as well as regaining the Bledisloe Cup in 2003. The All Blacks entered the 2003 World Cup as one of the favourites and dominated their pool, running up wins against Italy, Canada and Tonga, before winning one of the most competitive matches of the tournament against Wales. They defeated South Africa in their quarter-final, a team they had never beaten at the World Cup, 29–9, but lost to Australia 22–10 in the semi-final in Sydney. Afterwards, Mitchell had to reapply as coach, but the NZRU instead appointed Graham Henry. New Zealand hosted and won the inaugural World Cup in 1987 beating France 29–9 in the final at Eden Park, Auckland. New Zealand conceded only 52 points and scored 43 tries in six games en route to the title, beating Italy, Fiji, Argentina, Scotland, Wales and France. 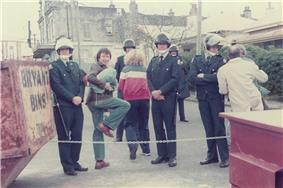 The 1981 South African tour to New Zealand sparked protests against South Africa's apartheid policy the likes of which had not been seen in New Zealand since the 1951 waterfront dispute. The NZRU had invited the Springboks to tour as the Muldoon government refused to involve politics in sport. Although New Zealand won the test series, two of the tour's provincial games were cancelled and the whole tour was marred by violence and protest. The third and final test match of the tour is sometimes known as the Flour Bomb Test, as an anti-apartheid activist in a Cessna light aircraft dropped leaflets, flares, a parachute-supported banner reading "Biko" and flour bombs into Auckland's Eden Park throughout the match, felling a New Zealand player. 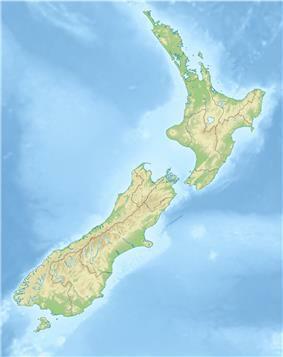 During the tour the country experienced unrest, and the tour had a significant impact on New Zealand society. The 1976 All Blacks tour of apartheid South Africa generated much controversy, and led to the boycott of the 1976 Summer Olympics in Montreal by 28 African nations after the IOC refused to ban the team. New Zealand again failed to win the test series in South Africa: they did not do so until 1996, after the fall of apartheid. The 1976 Tour contributed to the Gleneagles Agreement being adopted by the Commonwealth Heads of State in 1977. The 1972–3 tourists narrowly missed a Grand Slam with a draw against Ireland. The tour was notable for the sending home of prop Keith Murdoch, who was alleged to have been involved in a brawl in a Cardiff hotel while celebrating the defeat of Wales. New Zealand's 3–1 series win over the Lions in 1959 proved to be the start of a dominant period in All Black rugby. This was followed by the 1963–64 tour to Britain and Ireland, led by Wilson Whineray, in which New Zealand were deprived of a Grand Slam by a scoreless draw with Scotland. The only loss on this tour was to Newport RFC, who won 3–0 at Rodney Parade, Newport on 30 October 1963. The 1967 side won three tests against the home nations, but was unable to play Ireland because of a foot-and-mouth scare. This tour formed part of New Zealand's longest winning streak, between 1965 and 1970, of 17 test victories. This was also the longest test winning streak by any nation at the time; it would be equalled by the Springboks in 1998, and surpassed by Lithuania in 2010. Although the 1966 Lions were defeated 0–4 in their New Zealand tour, there was a reversal of fortune five years later when the 1971 Lions, under the captaincy of Welshman John Dawes, beat New Zealand in a test series, which remains the Lions' only series victory in New Zealand. At the same time as an All Black team was touring South Africa, Australia were touring New Zealand. The two tours coincided because Māori players were not able to go to South Africa at the time, meaning the Australians, played against a New Zealand team made up of the best Māori and the reserve non-Māori players, while the South Africans encountered the best pākehā (non-Māori) players. 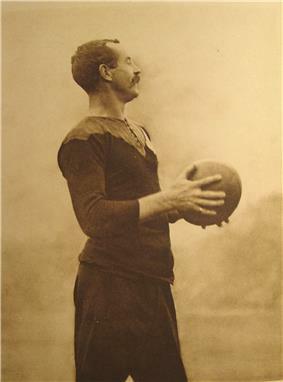 On the afternoon of 3 September New Zealand, captained by Johnny Smith, were beaten 11–6 by Australia in Wellington. New Zealand then lost their second test 16–9, which gave Australia a Bledisloe Cup series win in New Zealand for the first time. 1949 was an annus horribilis for the All Blacks as they lost all six of their test matches, and the experience of playing two test series simultaneously has not been repeated. In 1937, South Africa toured New Zealand and decisively won the test series despite losing the first Test; this 1937 South African team has been described as the best team ever to leave New Zealand. It was not until 1949 that New Zealand next played the Springboks when they toured South Africa with Fred Allen as captain. Although each test against South Africa was very close, New Zealand lost the series 4–0. As part of the tour, a contingent of 26 All Blacks travelled to Rhodesia for two non-test exhibition matches. The Rhodesia side beat the All Blacks 10–8 in Bulawayo, and then drew 3–3 in the follow up match in Salisbury. famously scored two tries to help England to a 13–0 win; their first over New Zealand.Prince Obolensky In one of these losses,  New Zealand toured the British Isles again in 1935–36, losing only three games – including two tests – during a 30-match tour. The first British Isles side since 1908 toured New Zealand in 1930. Although the Lions won the first Test, the home side regrouped and went on to win the series 3–1.